The Provincial Government is creating a new leadership position at the Ministry of the Attorney General's office. The new position will focus on aboriginal justice. 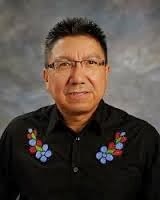 Nishnawbe Aski Deputy Grand Chief Alvin Fiddler says it's good news. The position will be posted shortly and Fiddler hopes to see someone in the job by the summer.